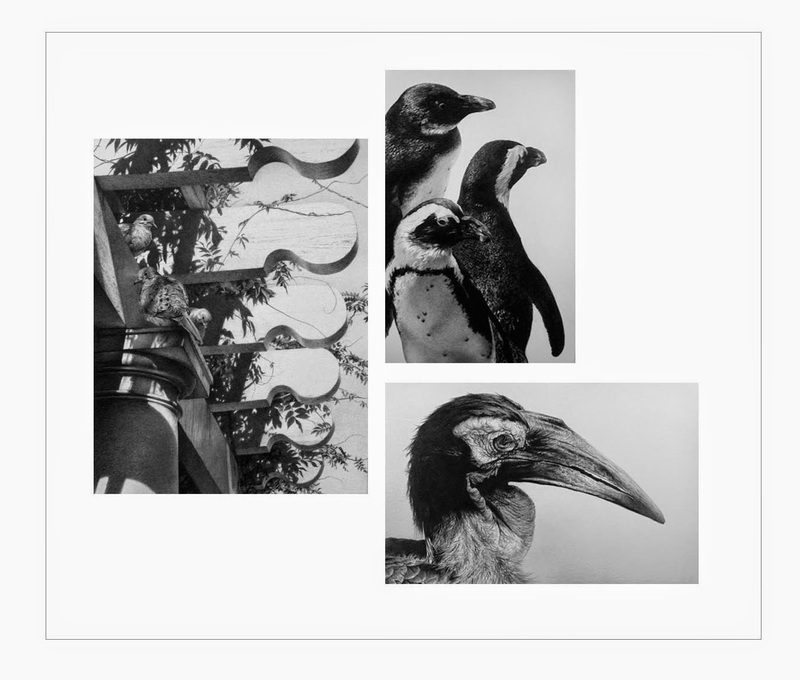 Notification came through of the jury results for this year's Society of Animal Artists annual members' exhibition, Art and the Animal, which will open this August at the Roger Tory Peterson Institute in Jamestown, New York. 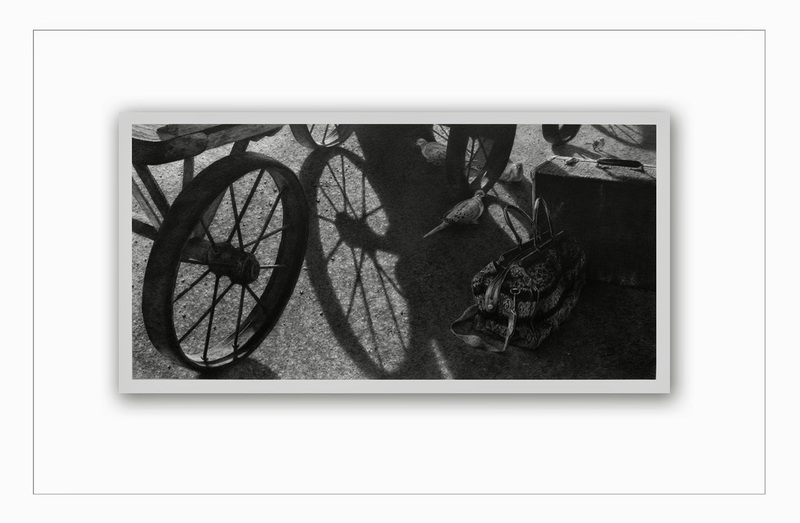 I'm honored to have "Waiting For the 5:38" as one of the 125 flat works and sculptures that will make up the exhibition. The opening weekend events will occur August 28 through the 30th. If near the Jamestown area of upstate New York, plan to drop in and see some marvelous works. The exhibition runs through late October at that venue before a selected 60 piece tour will go on to New Jersey for a November opening at the Hiram Blauvelt Museum in north Jersey. This past week, I attended the spring board meeting of the Society of Animal Artists just west of Chicago. Taking advantage of a late evening flight home, I stopped off at the Brookfield Zoo on my way east to Midway Airport and spent a delightful afternoon roaming the various venues, with special focus upon their Tropical World exhibit and their just-over-year-old baby gorilla. 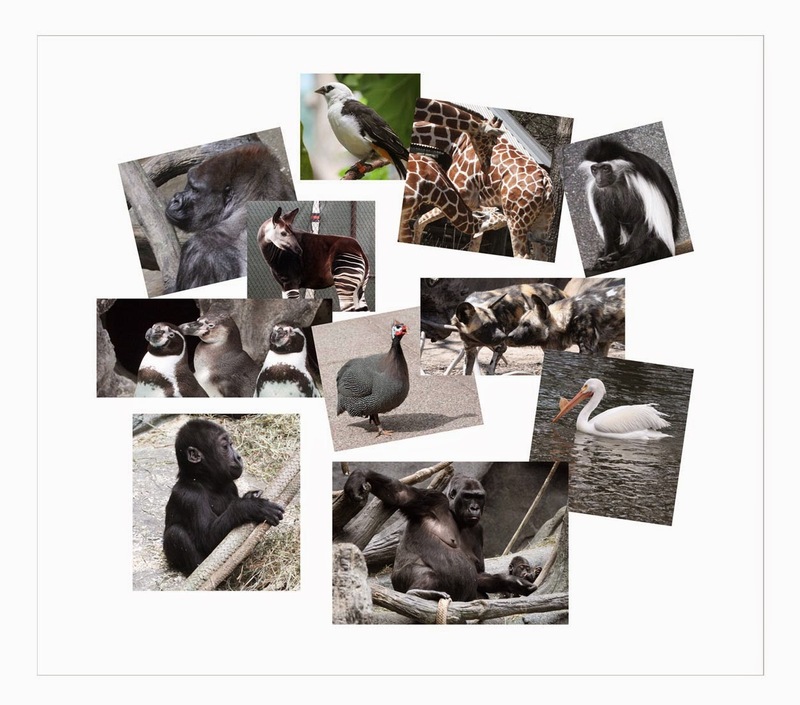 I also added to my file of reference photos of African Wild Dogs and many other African species. I foresee gorillas appearing on my drawing board in the not too distant future. 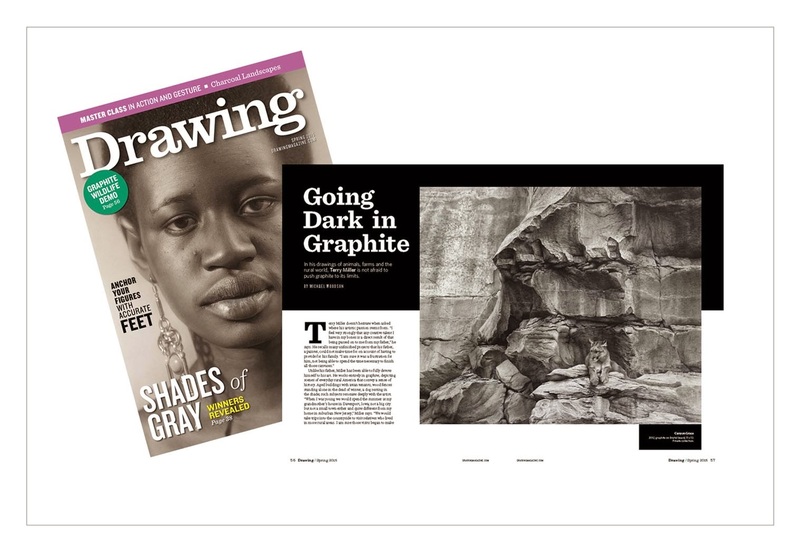 It is with great pleasure that I announce a feature article on my work in the forthcoming spring issue of Drawing Magazine. The issue will be available about May 12, from what I understand, to those who do not yet subscribe through your local news stand or bookstore or online. I am grateful to Michael Woodson, who took my jumble of answers to his questions and rolled it all into a very flattering article and also to Austin Williams, the senior editor of the magazine, for throwing a spotlight on my work. I am very pleased to announce that three of my works (from left, The Last Day of Summer, upper right, Cold Shoulder, and below, Eye on the Prize) have been selected as finalists in this year's edition of the annual David Shepherd Wildlife Artist of the Year competition in England. These three works will join a host of other fine pieces by artists from all corners of the globe this June during the exhibition at The Mall Galleries in London. It all began with the mention, by an artist friend, and suggestion to read Depths of Glory, the fictionalized biography of Camille Pissaro by Irving Stone, that eventually led me to find and read Dear Theo, the letters of Vincent van Gogh to his brother during the turbulent years of his short life. It was in the text of Vincent's letters that I found mention of Paul Durand-Ruel and another journey of discovery led me to find and read Durand-Ruel's wonderful memoir. 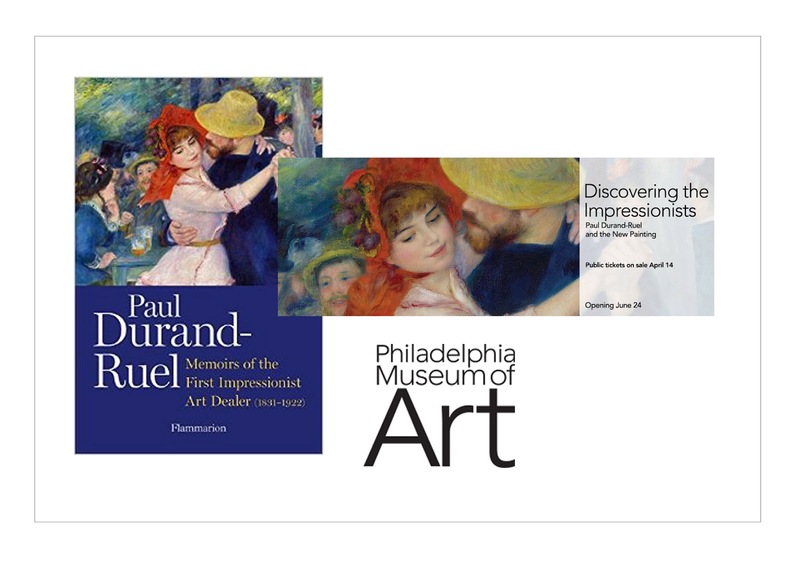 Paul Durand-Ruel was, perhaps, the one individual who was most responsible for putting the Impressionist painters and their New Art on the map so to speak, and for bringing the attention of collectors and the public at large to their output. It was not an easy task, as paintings by Monet and Renoir and Degas and Pissaro and the others of that cadre of late 19th Century artists, were laughed at, left out of the yearly Salons, and not even noted by most collectors of the time. With persistence in the belief of their worth and ongoing financial support of the Impressionists, Durand-Ruel ultimately won the hearts and minds of of those influential collectors of the time in Europe as well as on this side of the Atlantic. The book is a marvelous read, packed with details and wonderful stories about Durand-Ruel's connections with many of the painters that we now adore and admire and treasure, but who were thought of as upstarts and nothings during those turbulent years in the art world of the later decades of the 19th Century; it is well worth the read. And, with the recent announcement of a major exhibition to open this summer in Philadelphia of Impressionist works (something like 80 pieces in total) based upon the established connection between Durand-Ruel and all those New painters, this summer could be the time for a visit to the Philadelphia Museum of Art to see some of the finest examples of the Impressionists at the only American venue for the tour (which comes to the US from London). Tickets for the exhibition go on sale to the public on April 14th and the show will open in June and hang through mid September. I plan on being there to drink in all that greatness that was once laughed at.